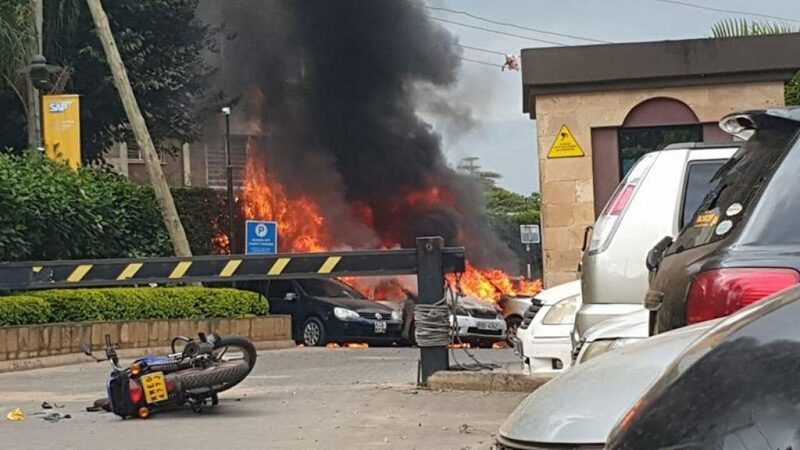 Shabaab has claimed credit for a deadly attack after gunmen stormed a popular hotel complex today in Kenya’s capital of Nairobi. No official statements have indicated the total number of casualties in the attack from al Qaeda’s official branch in East Africa. The assault began when gunmen stormed a bank within the complex, before a suicide bomber detonated himself within the DusitD2 hotel. Several vehicles also were exploded in the complex’s parking lot. The gunmen then stormed the hotel, wrestling control over the building from its security. Speaking to Al Jazeera, Shabaab’s spokesman Abdulaziz Abu Musab said the jihadists were still holed up within the building. However, Kenyan security forces have been working to clear the hotel of the terrorists. Not long after the attack began, Shabaab quickly announced via its Shahada News Telegram channel that its men were responsible. In a separate post, it then claimed its forces killed at least 47 people in the attack. However, Kenyan authorities have not released any official numbers as of the time of publication. That said, Kenyan media has reported dozens of people have been hospitalized, while others have reported at least six people have been killed. These numbers will likely change as more information is released. Today’s assault comes on the third anniversary of the El Adde assault on Kenyan troops in southern Somalia. That assault, which was also claimed by Shabaab, saw at least 150 Kenyan soldiers killed – the Kenyan Defense Forces’ (KDF) worst military defeat. The Kenyan government still has not released a comprehensive report of that attack. Additionally, this is not Shabaab’s first large-scale terrorist attack in Nairobi. In September 2013, the al Qaeda branch launched a four-day assault on the Westgate Mall where at least 68 people were killed. The jihadist group has also conducted several other major attacks inside Kenya, such as the April 2015 assault on the Garissa University College, which killed 147 people. While the jihadist group has long operated in Kenya, this comes after several years of increased operational tempo inside the country. These attacks are mainly located in the northern and eastern counties of Mandera, Wajir, Garissa, Lamu, and Tana River. At least 100 KDF personnel have been killed by Shabaab’s IED’s in these counties in the last three years, according to Kenyan news site The Standard. Today’s assault in the capital further confirms the jihadist group poses a real and severe threat to Kenyan security.